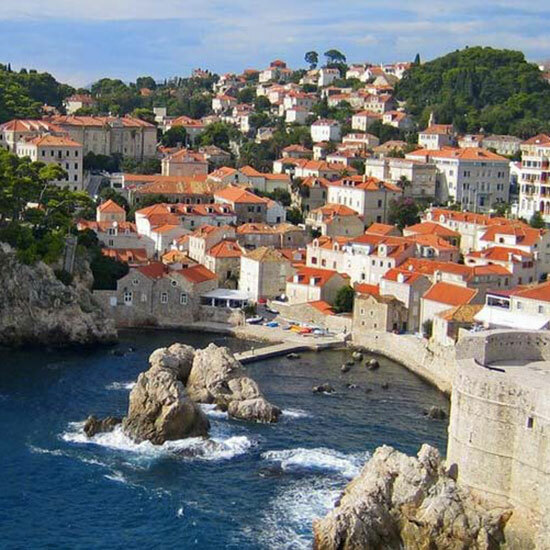 There are a lot of factors to consider when deciding where to vacation next: the flight time, the climate, whether or not it was featured in the latest season of Game of Thrones. Yep, according to a recent study conducted by HBO, pop culture plays a major role in where we visit. Here, a look at the TV and film destinations we wouldn’t mind putting on our bucket list. 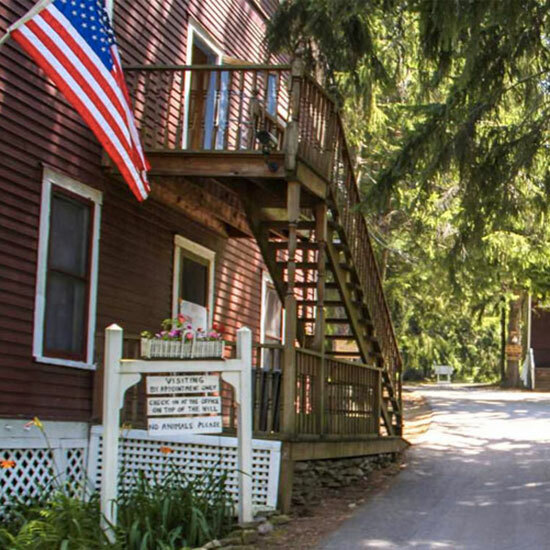 Camp Towanda, "Wet Hot American Summer"
Spend the night at this fully operational sleepaway summer camp in Honesdale, Pennsylvania, which also served as the set for the 2001 film and its upcoming Netflix reboot. Fun movie fact: The producers assured the camp’s owners they were making a family-friendly film in order to get clearance to shoot. Needless to say, the owners were pretty horrified when they saw the final cut. Lovrijenac Fortress, "Game Of Thrones"
Some of Game of Thrones’ most memorable scenes (like when Tyrion wins the Battle of Blackwater with green fire) were filmed in and around this 11th-century fortress, perched 37 meters above sea level in the Croatian city of Dubrovnik—aka the capital of King’s Landing. 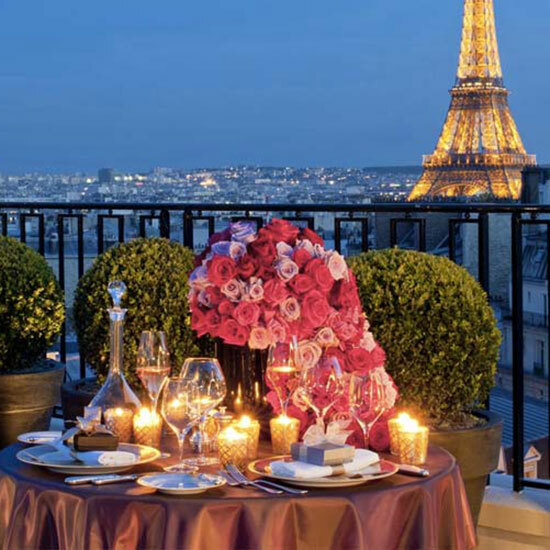 Le Meurice, "Midnight In Paris"
This private 250-square-foot terrace—where Owen Wilson and Rachel McAdams enjoy a wine tasting in the Oscar-winning film—is attached to a private suite on the top floor of the famed Paris hotel, Le Meurice. A night here costs a pretty penny (about $19,000), but hey, a girl can dream. 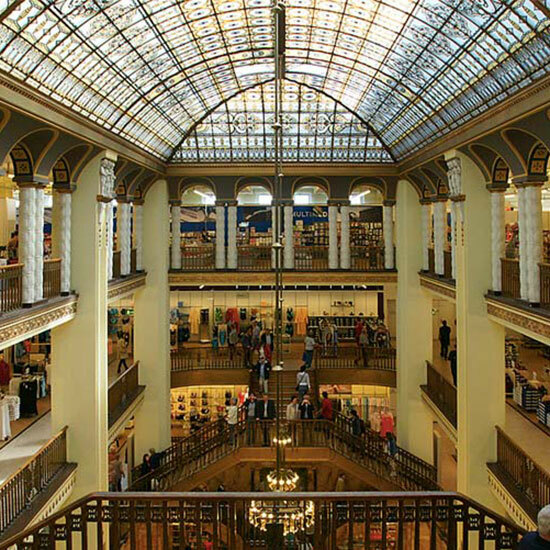 Görlitzer Warenhaus Department Store, "The Grand Budapest Hotel"
No, the hotel itself doesn’t actually exist, but this Art Nouveau department store in Görlitz, Germany, doubled as the gorgeous atrium lobby in Wes Anderson’s award-winning film. Originally opened in 1913, the store closed for good in 2010 and was actually scheduled for demolition until the film brought renewed interest in its future. Now, it’s currently under renovation and is scheduled to reopen as a shopping center in late 2015. 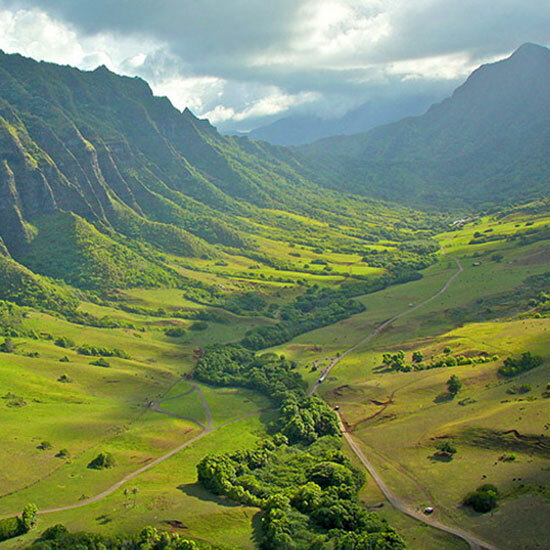 You may not find any dinosaurs roaming the grounds of this 4,000-acre cattle ranch in Hawaii, home to some of the most famous scenes in Jurassic Park and now Jurassic World–but you will see plenty of weddings. The iconic spot—located just 22 miles south of Honolulu on the northeastern side of Oahu—can be rented out for the wedding weekend of your dreams. For a more low-key alternative, simply book a tour. 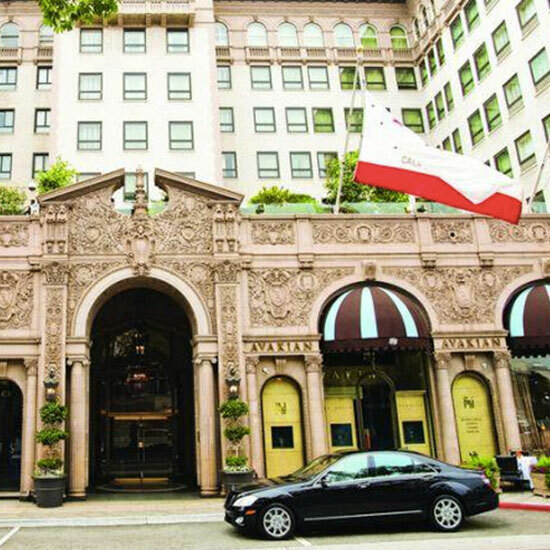 The Beverly Wilshire Hotel, "Pretty Woman"
You’ll feel just like Julia Roberts (minus the whole prostitute thing) when you book a stay at this iconic Four Seasons hotel, a fixture on Rodeo Drive in Beverly Hills since 1928. In fact, the hotel still offers a package called “Pretty Woman for a Day,” which allows you to mimic scenes from the classic 1990 film—including a night at the opera and a stay in the famed “Pretty Woman” suite. 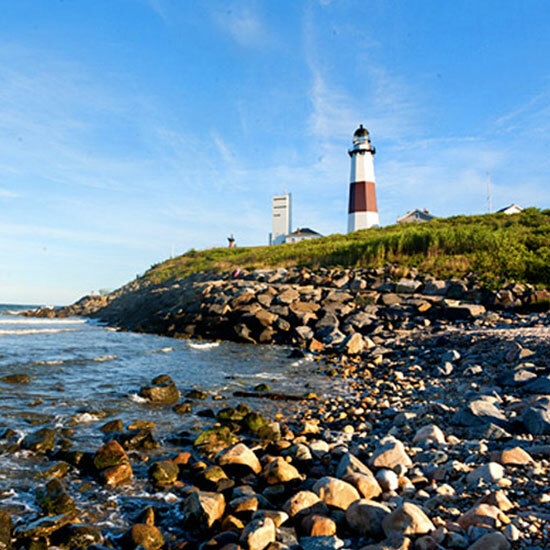 Montauk Point Lighthouse, "The Affair"
You’ll have to climb 137 steps to reach the top of this historic Long Island, New York, lighthouse—a regular part of the backdrop as Alison and Noah’s relationship unfolds on the Showtime drama. But it’s worth it—the views are spectacular. If heights aren’t your thing, you can still hike around the rocky and picturesque grounds. Call ahead to arrange a tour. 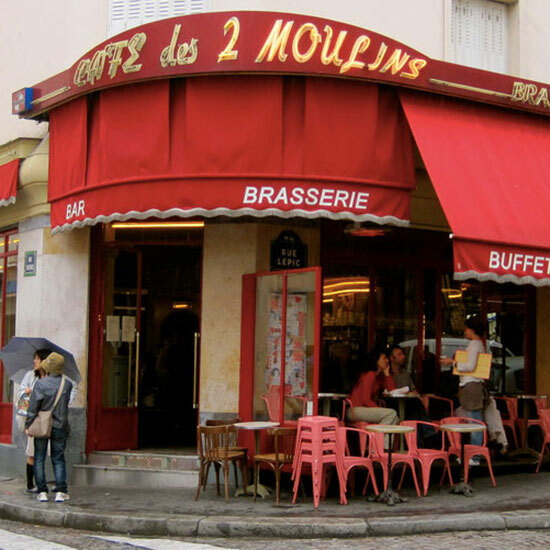 Café Des 2 Moulins, "Amélie"
Get ready to Instagram your heart out when you pay a visit to this quirky and colorful neighborhood café in Montmartre, Paris, famous for being the place where Amélie works in the 2001 film. Stop by for un café, then snag a table (and one of the bright red chairs) to relax and people-watch.